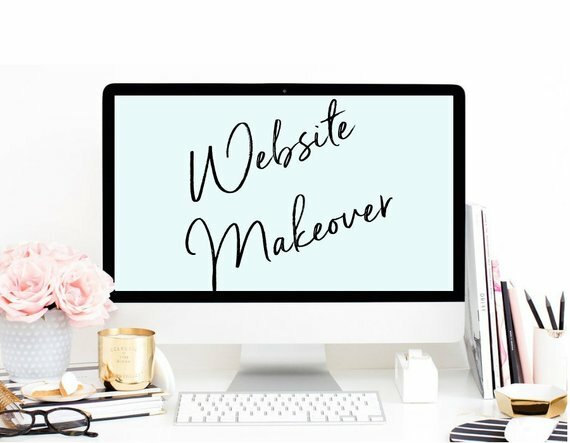 Ready for a site makeover?! If you’re having trouble getting you’re site ready OR if you’d like to give your existing blog or website a new design – our Site Makeover service might just be perfect for you! We’ll give your blog or website a makeover by selecting a new theme as a base & customize the design to reflect your brand and your vision without the overwhelm. The end product will be a complete site unique to your brand! I have an existing site, is that ok? I will make sure all of your existing content is perserved and looking great while we give your site a design makeover! What theme should I choose as a base? You can select a theme from our shop or any third-party WordPress theme you like online! If you’re not sure which theme to choose, I will recommend 3 themes that I think would work well based on your brand and website goals for you to choose from. Do you develop ecommerce sites? Yes we develop ecommerce website in our Deluxe Design service. How many pages does the service include? Please inquire for a quote if you would like additional pages. What will the finished project include? — Future support in case you have any questions or run into a problem later on. Please contact me with any questions, I’d be happy to answer any for you! Or Contact us with your inquiry and I’ll be in touch to get the conversation started!